There is no single solution when it comes to fly control. If only it were that simple! 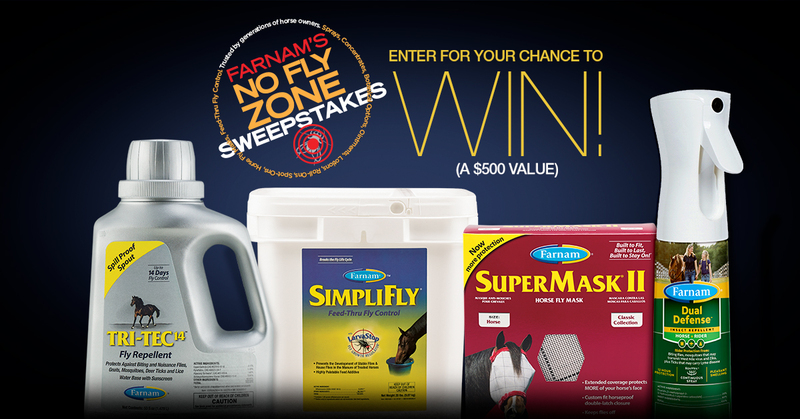 You have a chance to win one of ten (10) "No Fly Zone" care kits filled with $500 worth of fly control products. From fly sprays and concentrates to fly masks and spot-ons, you will be prepared to attack on all fronts! © Copyright 2019 Farnam Companies, Inc.